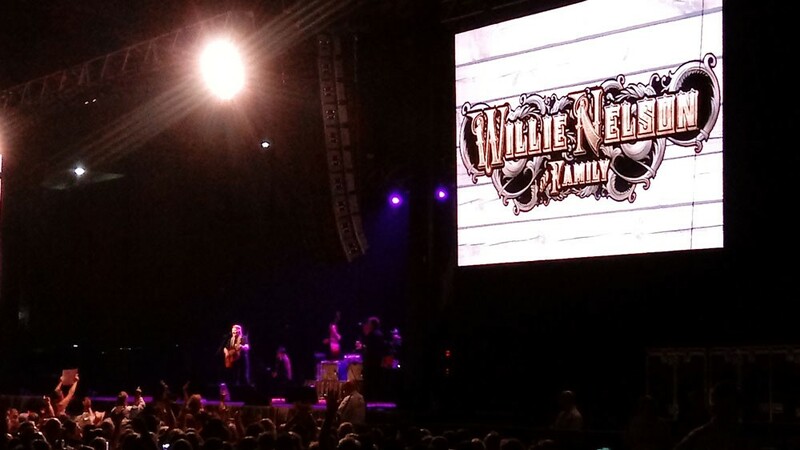 Fans enjoyed a career-spanning set at Willie Nelson's sold-out show at Northern Quest on Tuesday. 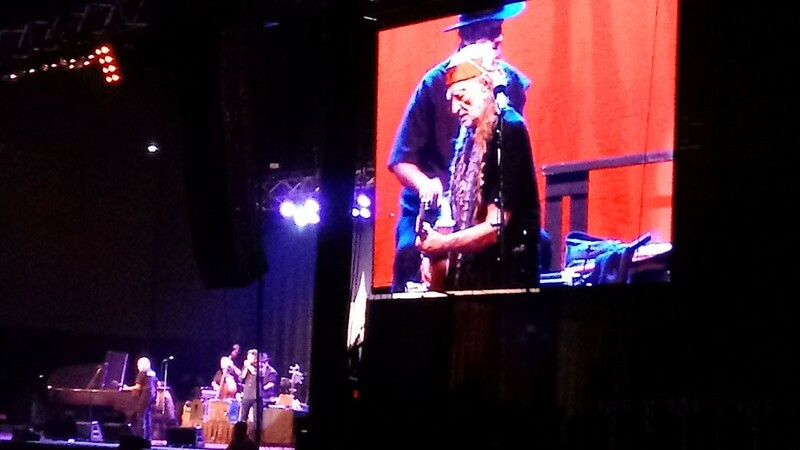 Willie Nelson isn't what he used to be, but he's still better than most will ever be. At his sold-out show Tuesday at Northern Quest Resort and Casino, the 84-year-old country legend ran through upward of 30 songs, or at least pieces of 30 songs, over the course of about 75 minutes. Along the way, he and his Family Band paid homage to Hank Williams, nodded to departed peers like Merle Haggard and friends like Tom T. Hall, and showcased why Nelson remains an American treasure after decades in the spotlight. Nelson took the stage in his customary cowboy hat, bandana and long braids in his grey hair, sporting a "Craft Cannabis" T-shirt and a wide grin as he waved at the audience. He then launched into his customary show opener, "Whiskey River," before segueing into "Still is Still Moving to Me," a song that featured his first extended solo on his trusty acoustic guitar, Trigger. One of the best features of Tuesday's show was the camera's near-constant focus on Trigger and Nelson's hands, projecting his guitar work on the large screens on either side of the stage. Even at 84, his rapid-fire picking and strumming is something to behold, and watching him find subtle new approaches to classic old songs was a treat. Nelson's not a jukebox; he and his band don't regurgitate the hits as close to their recorded forms as possible. Rather, he's a lot like Bob Dylan, constantly tweaking his own tunes to find new ways to express himself, and to keep his band on its toes. Also like Dylan, Nelson's best vocals are behind him. These days, most of the songs were borderline spoken-word exercises, as Nelson delivered lines in quick cadences and often asked the audience to fill in the chorus for songs like "If You've Got The Money (I've Got The Time)," "Beer For My Horses" and "On The Road Again." "Ain't It Funny How Time Slips Away" featured excellent interplay between Nelson's guitar and Family Band harmonica ace Mickey Raphael, and "Crazy" (written by Nelson and made famous by Patsy Cline) elicited a huge roar from the audience. The classics come virtually nonstop at a Nelson show, and Tuesday was no different, as "Angel Flying Too Close To The Ground," "You Were Always On My Mind" and "Mammas Don't Let Your Babies Grow Up To Be Cowboys" all made appearances. Late in the show Nelson gave his recently deceased buddy Merle Haggard a shout-out and played "It's All Going to Pot," a duet they did together on 2015's Django & Jimmie album. Nelson also played "Roll Me Up and Smoke Me When I Die," but even though his own Willie's Reserve cannabis brand was selling T-shirts at the show, the noted pot advocate didn't talk about weed from the stage all night. In fact, Nelson didn't have much in the way of between-song banter beyond introducing the band members and occasionally announcing the next song. That was one indication of age creeping up on him, along with his vocal approach. Even so, that didn't detract from enjoying the end-of-show push through a series of Hank Williams songs, including "Jambalaya," "Hey Good Lookin'" and "Move It On Over." The show ended with opener Kacey Musgraves and her band joining Nelson and Co. on stage for a sing-along run-through of "I Saw The Light," "Will The Circle Be Unbroken?" and "I'll Fly Away," a fine finale to a memorable show. I've seen Nelson several times over the years, and this show was the first time I sensed his age at all. That's a testament to how playing has kept him going through the years, and the fact that time catches up with everyone eventually. Go see Nelson while you can, because there will never be another quite like him. Musgraves, on the other hand, is still at the beginning of her career, and her show was a nice indication that she'll be around for years. Leading a traditional band — pedal-steel, banjo, stand-up bass, etc — she mixed in songs from her two full-length albums and new tunes with well-chosen covers (Gnarls Barkley's "Crazy", for one), and her voice sounded great. On the day Glen Campbell died, she did a nice run through "Rhinestone Cowboy" in tribute, and her show-closing "Follow Your Arrow" from her 2013 debut album, Same Trailer Different Park, is a killer. She'll be headlining this stage sooner than later.